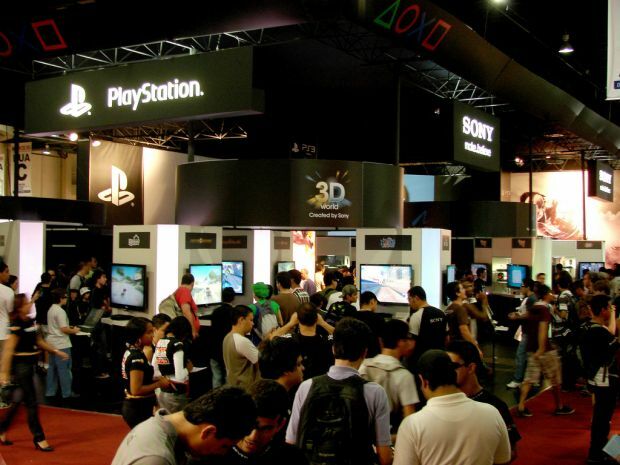 The fourth edition of Brazil Game Show (BGS) will be held October 5 – 9, 2011, in Rio de Janeiro. The event agenda comprehends the Fair, the Conference, the Games Festival Awards, Game Jam (the game development marathon, now in its second edition), and B2B (an exclusive area for doing business). Submissions for the Games Festival Awards are now open at http://www.brasilgameshow.com.br/ under 10 game categories, one of them being Educational Serious Games. The Festival provides a unique opportunity to promote the best games produced in Latin America, showing the world the enormous potential for the industry in the region (please find also Brazil's Video Game Ecosystem: Superior Serious Games Products). Winners of Game of the Year and Independent Game categories will be awarded with All Access Pass to the Game Developers Conference (GDC) in San Francisco. 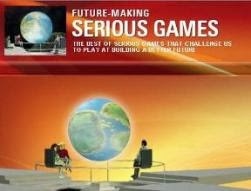 The winners will be announced on October 7 during the awards ceremony to be held at the Brazil Game Show 2011. BGS began as a small gaming event called Rio Game Show. After a first event with 4,000 participants, and a second one with about 8,000, Rio Game Show was renamed Brazil Game Show. 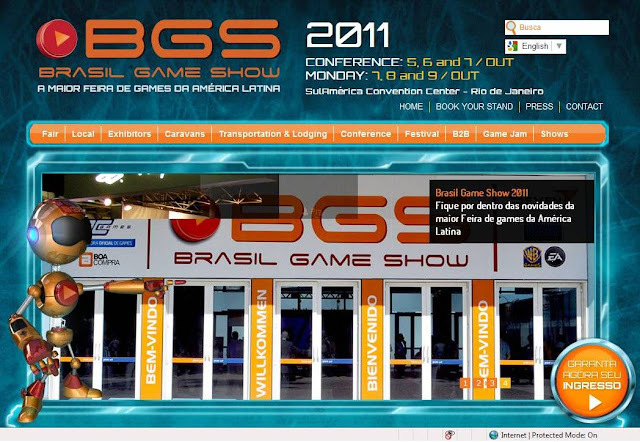 Since then, BGS has grown significantly and become an annual event held in Rio de Janeiro, Brazil. In 2009 the event hosted 12,000 visitors. In 2010 the show received more than 20,000 visitors over the two-day event, occupying three times the area utilized in the previous year. In 2011, the largest game industry gathering in the country shall establish itself as the leading event in Latin America. This 4th edition expects to welcome 70 exhibitors from Brazil and abroad, occupying approximately 16,000 square meters (the convention complex is nearly 42 thousand square meters), and 50,000 visitors, including Conference attendees (October 5, 6 and 7) and Fair visitors (October 7, 8 and 9). 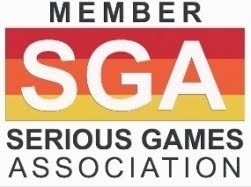 BGS brings together game industry professionals and those passionate about games that wait for the announcements and premiere releases planned for the end of the year.